Professional and effective pain relief. Dr. Hybza has been relieving pain for over 24 years. Begin your road to feeling better with Spinal Manipulation adjustments. "Chiropractic patients enjoy increased flexibility, improved posture, improved or eliminated pain, a more relaxed and calm state and an enhanced energy level- in short, an improved overall quality of life." Discover Wellness. Chiropractic is effective for all ages and all levels of pain. Hybza Chiropractic is ethical, professional and experienced. Our office is clean, compassionate, warm and caring. We take pride in our family friendly atmosphere. We also offer massage therapy and nutritional supplements. Dr. Hybza and the entire staff will do all they can to make sure you have a great experience. New Patients and Emergencies are a high priority. They receive same day appointments. 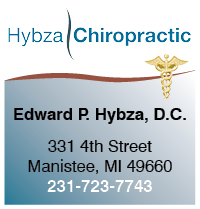 Call Hybza Chiropractic today to schedule your appointment.